In case you are unaware, the property Council of Australia has recently announced on the 20th of April 2018 that the draft Design WA Apartment Design Policy is close to its final release. This policy, which was prepared and released to the public for comment in 2016 by the Western Australian Planning Commission (WAPC) and the Department of Planning, Lands & Heritage, is to replace Part 6 of the R-Codes. As a result of the draft Design WA Apartment Design Policy’s (ADP) present ’seriously entertained’ status, it has already been considered by certain local governments in relation to processing development applications.For those wishing to avoid a lengthy and complex development approval process, or seeking to ensure that their proposal will be viewed favorably by Local Government planners, it is important to consider the implications of the policy. Similar to the Part 6 of the R-Codes, the draft Design WA Apartment Design Policy (ADP) provisions will apply to multiple dwelling and mixed use developments proposed throughout Western Australia. However, the policy possesses many points of difference in terms of its, general approach, development application requirements, scope, and focus on detail. The draft policy has been designed to move away from a more prescriptive planning control approach that focuses more on limiting negative impacts. Rather, the draft Design WA ADP marks a shift towards ‘performance-based’ controls which provides for greater design flexibility and focuses more on encouraging positive outcomes. However, the flexibility provided for also coincides with increased responsibility on applicants to demonstrate how their development proposal achieves the planning objectives, and a significantly broadened scope of objectives to be addressed. Addressing the relevant objectives of draft Design WA ADP, as listed in A7 Objectives checklist. Addressing matters raised in A8 – Sustainability checklist as required by the relevant authority. Depiction of development within context of surrounding development from a human eye. Although many of these requirements may already be requested by assessing authorities in relation to certain development proposals, the draft Design WA ADP provides greater clarity into what is expected of apartment and mixed use proposals, and how they are to demonstrate compliance to development objectives. Whereas Part 6 of the R-Codes mainly draws from the provisions of R-Codes Part 5 and focuses on minimising adverse impacts to neighbouring buildings, draft Design WA ADP provides much more detail in respect to general building layouts, designs of individual dwellings, sustainable design, and even how the development will be used and operated over time. While many new matters addressed have already been incorporated into local planning framework of certain authorities, or at least considered, draft Design WA ADP facilitates a more unified approach to these matters. This can be considered preferable to a fragmented approach in outlining and addressing contemporary urban planning expectations. The increased focus on detail is reflected by both the diversity of topics addressed within each clause, and the encouragement of local governments to partake in detailed precinct planning. While Part 2 of draft Design WA ADP provides primary development controls which act similar to those featured within Appendix 2 of the R-Codes, it also encourages and provides for local governments to prepare local planning policies varying these requirements to suit specific local areas. This is anticipated given the recent urban planning focus on transit oriented developments and activity centres. 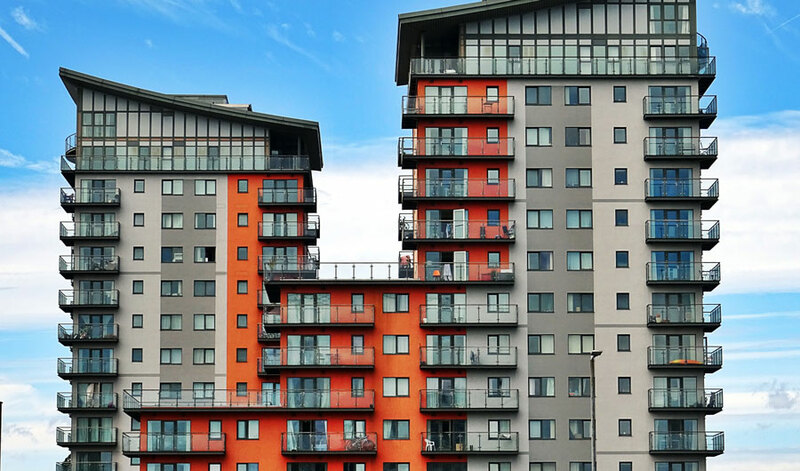 Therefore, while many planning expectations for apartment and mixed use developments are clarified, local planning policies must still be considered. While the draft Design WA ADP provides a much wider scope of matters to address, it has been developed with the anticipation that relevant local authorities will be involved with development proposals earlier during the concept and design phase. For instance, many of the submission requirements such as those listed in the A3 Site analysis checklist are expected to be provided to the relevant local authority prior to development lodgment, albeit in a draft and non-finalised form. This is to provide the relevant authority an opportunity to provide constructive feedback and identify any major design issues earlier during the project. Such approach is to benefit developers and local authorities alike in avoiding conflicting expectations, lengthy timeframes, and the need for extensive redesigns late during the planning phase. However, the consistency of how proposals are assessed according to design objectives by different planners from different local governments remains unknown. Those aspiring to pursue apartment and mixed use developments will therefore benefit from professional planning advice in respect to identifying specific site requirements early during the project, planning assessments, preparation of required documents, and liaison with relevant authorities.